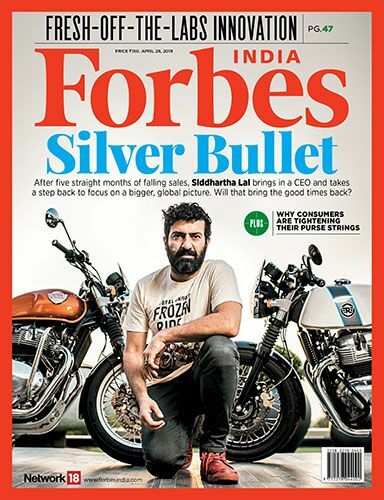 A former Forbes India correspondent, I worked for nearly 10 years as a business journalist in India before heading to the Graduate School of Journalism at University of California, Berkeley, as a Visiting Scholar in 2010. It was a step towards getting a first-hand experience of the US economic and business climate, as well as a great opportunity to get an insight into Africa with a Bill and Melinda Gates Foundation-funded reporting project of my choosing in the continent. Post-Berkeley, one thing led to another, and in early 2012, I found myself braving sub-zero temperatures in Beijing, exploring the nuances of China's evolving business and economic landscape as Editor of CKGSB Knowledge (http://knowledge.ckgsb.edu.cn/), the research publication of Cheung Kong Graduate School of Business. China is an exciting place to be and despite my constant struggles with Mandarin and unfamiliar food, each day opens my eyes to something new. Some of the things I find fascinating are MNC strategy in China and the evolution of Chinese companies into global powerhouses. Interestingly, several Chinese companies that haven't ventured beyond the Mainland are, in many ways, spearheading innovation in ways we cannot imagine. Another interesting trend that I am witnessing firsthand is the evolution of 'Made in China'. This blog is about my experiences and discoveries in the world's second-largest economy. Apart from China, I have an abiding interest in Africa, where I spent the early years of my childhood. More recently, I have researched and edited two books, one of which was on Africa: Culture of the Sepulchre by former diplomat and UNESCO Goodwill Ambassador Madanjeet Singh (Penguin India, 2012), and Leading with Conviction: The Nine Principles of Integrated Leadership by Shalom Saada Saar and Michael J. Hargrove (Jossey-Bass, forthcoming). The views expressed in this blog are my own, and do not represent those of the organization I work for. I don’t particularly marvel trips to my bank here. Almost no one speaks English and it’s hard to make the staff understand what I want. My near-zero Mandarin skills always lead to an interesting spectacle for others waiting for their turn at the counter. Most of these experiences are related to mundane everyday banking tasks that one would not give a second thought to in another country. But last week was different. A greater challenge lay ahead. I was at my bank trying to transfer money to my account in India. This was the first time I was doing this and the process was already complicated – I had to jump through several hoops before I could reach the bank. I collected all documents and went to the local tax bureau to get a certificate saying this was money I had legitimately earned. Armed with my my tax certificate, I thought I was well-prepared. ‘What is HDFC Bank’s Chinese name? !’ A better question might have been ‘Does HDFC Bank have a Chinese name?’ Or so I thought. But no. In this world, the thought that a bank may not have a Chinese name seemed unthinkable. The question simply did not arise. “It doesn’t have a Chinese name,” I said. The teller wasn’t pleased at all and what followed was a confusing three-way conversation between the teller, interpreter and me. In the teller’s universe, any entity that didn’t have a Chinese name simply didn’t exist. After a good 10 minutes of argument, she finally acceded to my request to wire the money to my lowly-bank-without-a-Chinese-name. That set me thinking and reminded me about my first few days in Beijing. This was my first experience in a Chinese workplace. On my second day at work, my colleague Carol, who helps me survive in this city with my extremely limited knowledge of Mandarin, walked up to me and asked me if I had a Chinese name. “Of course not,” I said. I had never lived in China before and never felt the need for one. “So you must get one,” she said definitively. She went back to her desk where she sat deep in thought for a while. She returned after 15 minutes with something scribbled on a Post-it. “Your new Chinese name!” she said triumphantly. My eyes glazed over a jumble of Chinese characters and I simply smiled back and shook my head. “But it is pretty close to your actual name,” she insisted. I smiled again. That was the end of the conversation. I have been in China for nearly a year, and I still don’t have a Chinese name. I am still very much Neelima. But both Carol and my bank teller might have a point. It is increasingly becoming impossible for any global company to ignore the world’s second-largest economy. And to do business in China means that you have to conform to local norms and strike a chord with the people, which is especially tough because most of them don’t speak English. And so, if HDFC Bank does decide to come here tomorrow, it will have to get itself a Chinese name. Arriving at the right Chinese name is tricky business, and the result is often a tongue-twister for an outsider like me. I can’t, for instance, still pronounce Coca-Cola right. In Mandarin it is called Kěkǒu-kělè while Pepsi is Bǎishì-kělè. To my mind, finding the right Chinese name for a company is fast becoming a science. There are many dos and don’ts. One, the name should be as close as possible to the original name such that the brand resonance stays the same – so Nike becomes Nài kè, Gillette Jí liè and McDonald’s Màidāngláo (there are some exceptions such as Apple which has become Píngguǒ Gōngsī literally translated as Apple Company). Two, the name shouldn’t be similar to that of other companies. You need to legally register your Chinese name – as luxury brand Hermes recently discovered, its Chinese name Ai Ma Shi which means “officials who love horses” was similar to that of a Chinese company and that resulted in a painful lawsuit. Three, Chinese consumers should find the name easy to pronounce. And four, the name should stand for good things, and shouldn’t inadvertently refer to something unpalatable. Consider the case of Best Buy, which experienced a dismal failure in China. The company adopted the Chinese name of Baisaimai, which was construed as “to buy after thinking a 100 times”. While the reasons behind Best Buy’s unfortunate run in China cannot be attributed to this, the fact remains that the name didn’t help its cause either. Coca-Cola, too, didn’t get it right at the outset. 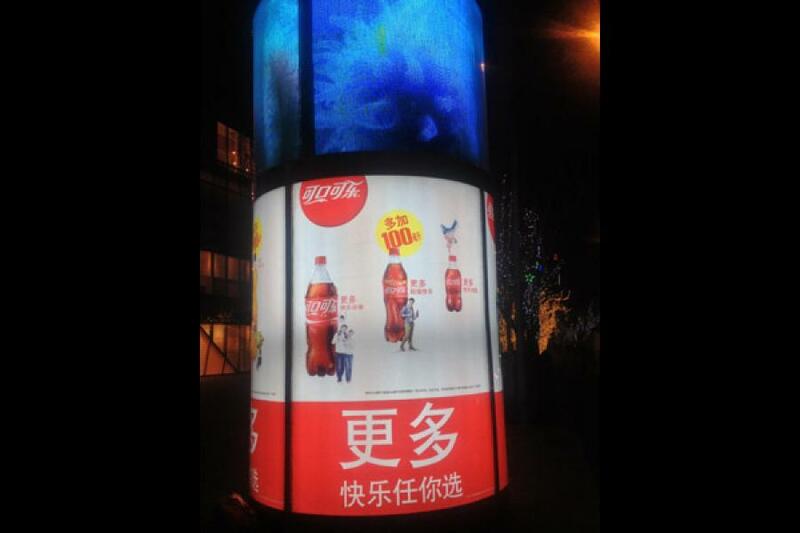 Legend has it that when Coke first came to China they decided to go with a phonetic translation of their name which resulted in a hilarious meaning: “Bite the wax tadpole”. The company later changed it to Kěkǒu-kělè which means something like “delicious happiness”. The interesting thing is some smart branding companies now, such as the Shanghai-based Labbrand and Nanjing Marketing Group, are offering specialised services to overseas clients to help them come up with a Chinese name for their brand. Maybe, my friend Carol has a point after all.